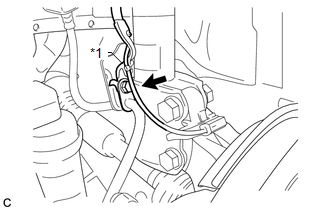 (a) Disconnect the front speed sensor connector and remove the 2 clamps. (b) Remove the bolt and No. 2 sensor clamp from the body. (c) Remove the bolt, No. 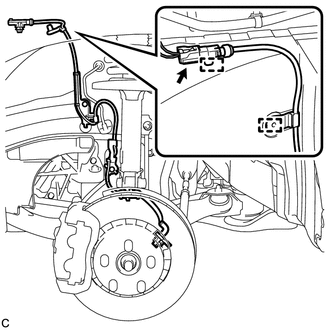 1 sensor clamp and flexible hose together from the shock absorber assembly. 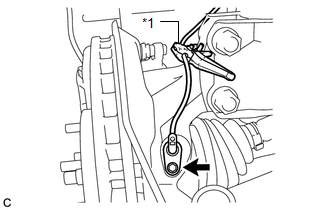 (d) Remove the bolt, resin clamp and front speed sensor. 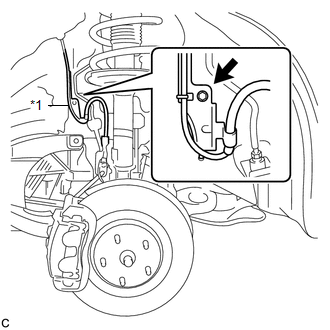 Clean the speed sensor installation hole and the contact surfaces every time the front speed sensor is removed.